China’s Premier Li Keqiang, accompanied by over 100 senior Chinese business leaders, visited four South American countries for eight days in May. Along the way, he pledged hundreds of billions of dollars to Brazil, Peru, Chile and Colombia. US$53 billion was announced for Brazil alone. The Chinese pledges were met with scepticism by Western analysts who fret over the presence of China “in America’s backyard”. They used a study, conducted by the Brazil-China Business Council, to argue that only around one-third of China’s promised investments in Brazil from 2007-2012 were actually done. While there is no reason to doubt the findings of the study, there is equally no reason to believe that the failure to make the investments rested with China alone; Brazil could have also have contributed by its inability to absorb the investments. In several Caribbean countries, for instance, Chinese offers to undertake projects have either been ignored or the countries have lacked the capacity to implement them. In any event, even if half of the monies promised by China flows into the four South American nations, they will benefit enormously from the build-out of much needed infrastructure to boost their economies. The Chinese money – Western skepticism notwithstanding – is important. What is sure about the Caribbean’s relationship with China is that the latter now enjoys a huge trade surplus. In 2013, China’s exports to the Caribbean totalled US$4.21 billion, more than double its imports valued at US$1.88 billion that year. The sum of US$3 billion, pledged as loans by China’s President Xi in 2013 to ten Caribbean countries, was less than China’s trade surplus with the region for the year 2012 alone. In other words, China recycled its trade surplus with the region for one year to finance loans to regional countries from which it earns interest and gains political credit. The huge trade imbalance is a crucial area that needs urgent attention. Even though the Caribbean accounts for less than 1 percent of China’s trade with the world, its trade deficit with China is significant to the Caribbean. The Chinese authorities appear to have recognised this issue. That’s why President Xi offered the 2012 trade surplus as loans to the region. It was a classic case of aid for trade. the region’s strategic importance to China because of its proximity to the United States and major maritime trade routes and infrastructure such as the Panama Canal. Ideally, China should be persuaded to ease its protectionist trade policies and open its market to the 14 independent members of the Caribbean Community (CARICOM) on a non-reciprocal basis to give the region a chance to narrow the trade surplus. China should also expand its investment in the region to help build much needed infrastructure and to boost sectors such as agriculture, financial services, tourism, sea transportation and manufacturing. In making such investments, China should also stop imposing the use of Chinese workers and equipment a condition. As long as this condition continues, the positive impact of these investments on employment will not be fully realised and will fan a flame of resentment. Of course, the CARICOM countries are divided in relation to China. Five of them continue to have diplomatic ties to Taiwan and this inhibits CARICOM from seeking to establish a structured, long term aid, trade and investment relationship with China. The consequence is that the other nine CARICOM members pursue individual relations with China in which each is disadvantaged, but nonetheless grateful. However, imperfect loan and investment arrangements might be with China, these governments are, at least, getting monies no other country or agency is advancing to them. Further, the monies are being provided on soft terms. China is demonstrating a willingness to invest. 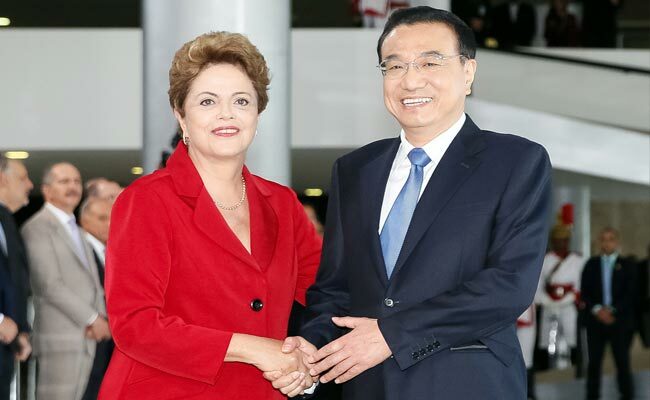 It is putting huge sums of money into South America as Premier Li’s recent tour demonstrates. In the case of the Caribbean, through two Chinese state-owned banks, China Export-Import Bank and China Development Bank, China has disbursed tens of billions of dollars in CARICOM countries since 2005. If Caribbean countries are to benefit from China’s obvious interest in investing its considerable foreign reserves around the world, they have to engage the Chinese government collectively. Reluctance to do so by the five CARICOM countries that continue to gain from their relations with Taiwan is understandable, but they should give their blessings to the other nine states to strike an enhanced relationship with China while the iron is hot.